We aim to deliver all items within seven working days of your order being placed, depending on availability. All parcels or Gift Vouchers should be delivered within 2/3 working days. despatched at the latest Wednesday of that week. Pallet deliveries will be delivered to the kerbside only. We will confirm bulky items or pallet orders with an email to arrange a date for delivery. ring on 0151 339 3195 or email info@burleydamgardencentre.co.uk and we will quote for these postcodes. postcodes outside of these areas. Orders over £150 are FREE of charge. Please refer to our terms for further details. arrange to rectify any errors as soon as possible. * On a Wide Range of Products both online and in store where this Price Promise Symbol is displayed. 1. Name of the product. our ‘Price Promise’ is product specific and we only match identical products. 4. The competitors Delivery costs & Delivery Service Details. sites, auction sites including Ebay & Amazon Marketplace. at the time you make your request. • The product must be in stock with the competitor and ready for delivery within 48 hours. offer the same service we will not be able to match the price. closing down or in administration. • Unfortunately we are unable to offer price matching on products purchased on finance. Can’t wait in for a delivery? Would you like to save delivery costs? Why not try our FREE Click & Collect service? All you have to do is purchase the product online and collect it from us in-store whilst we are open. We will process your order for collection within 2 hours of your purchase and we will call you to confirm that the items are ready. For some items of Garden Furniture it may take up to 5 working days to prepare for collection, however we will confirm this when we phone you. Please bring the order confirmation from the email you will receive and proof of ID. A current photo driving licence or passport. Unfortunately, we cannot release the order without seeing your ID. At present Click & Collect is available on a limited range of our online products, however we plan to expand this service in the future. 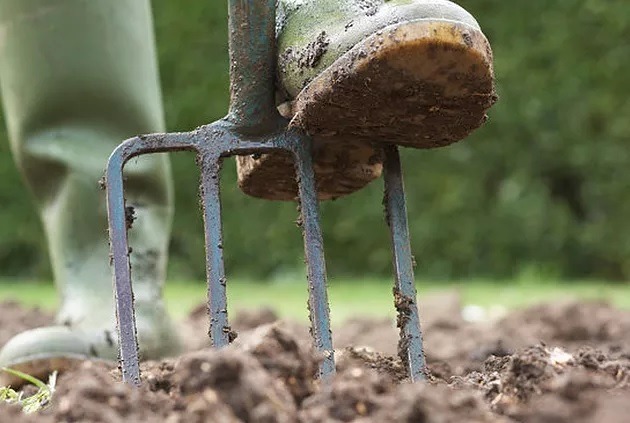 Thoroughly preparing your soil is the very best start you can give to new plants allowing new roots to move easily through the soil to find water and nutrients and to establish quickly. Preparing your soil needn’t be back-breaking; follow our helpful tips for perfect soil! 1. Dig over borders to bury the turf or weeds on the surface and expose the soil. 2. Incorporate plenty of compost or well-rotted manure to supply essential nutrients. 3. All bare soil is suitable for cultivating, however digging around plants is best avoided as it damages roots. 4. Once you have planted your borders protect new plants from slugs and other pests.